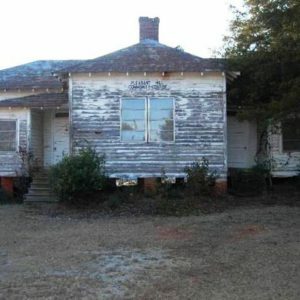 Retreat Rosenwald School, built in 1924, was one of 10 Rosenwald Schools in Oconee County. The 2-teacher, 3-room school served African American students in the Retreat community of Westminster. Construction costs were $2,300, of which $700 came from the Julius Rosenwald Fund. The school has a northwest/ southeast orientation, deviating from the conventional specs of a north/ south building orientation for Rosenwald Schools. The school is parallel to the road, however, and the orientation of the large windows increased sunlight in the winter and decreased it in the summer. In 1950, the school closed due to a significantly decreased student enrollment.